We did it! My co-author Nathan Koterba and I published a book! 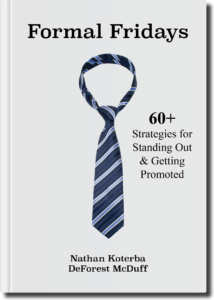 The book is called Formal Fridays: 60+ Strategies for Standing Out & Getting Promoted, and is now available on Amazon. See below and on the Formal Fridays Book Page for purchase options. 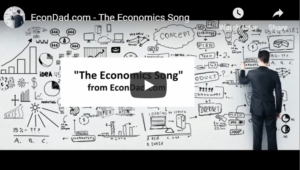 THIS MONTH ONLY (November 2018): If you’re an EconDad reader, I would be delighted for you to download a free PDF copy of the book using the coupon code FREEBOOK, which is valid through November 30, 2018. I kindly ask two requests in exchange for the free giveaway, if you like the book: (1) consider writing an Amazon review, (2) forward the PDF to three friends who might like it. Enjoy! Are you a young professional looking for that extra edge to get ahead at work? 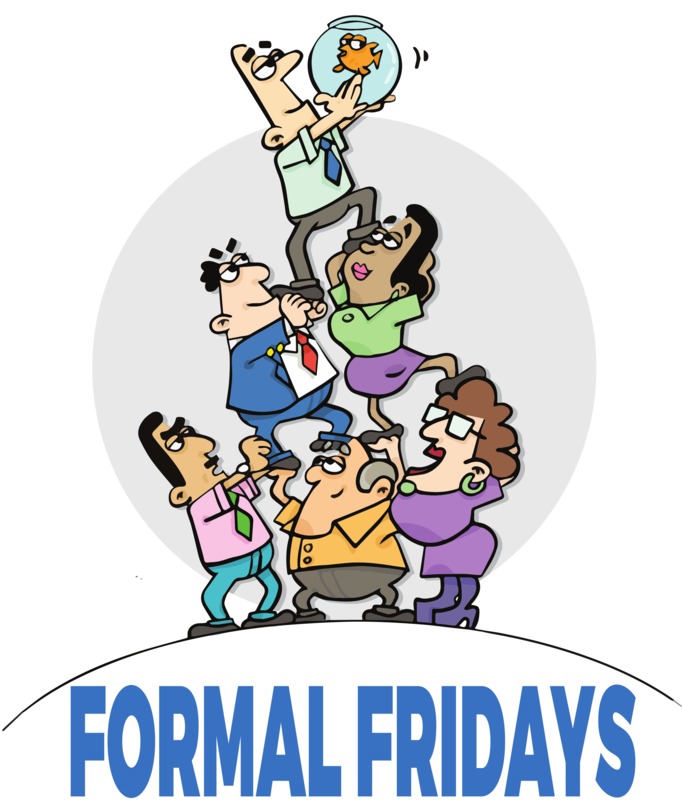 Formal Fridays offers 60+ innovative strategies for professionals who want to stand out and excel at work. We provide concrete approaches to accelerate your career and increasing your visibility, productivity, and reputation in the workplace. The term “Formal Fridays” has its origins as a strategy for standing out visually from others to maximum effect — effectively dressing UP on Fridays while others dress down. It is one of many interesting and innovative approaches to standing out that readers will enjoy. The book combines insight, humor, and stories for an experience that will make you smile, think, and, of course, stand out and get promoted. 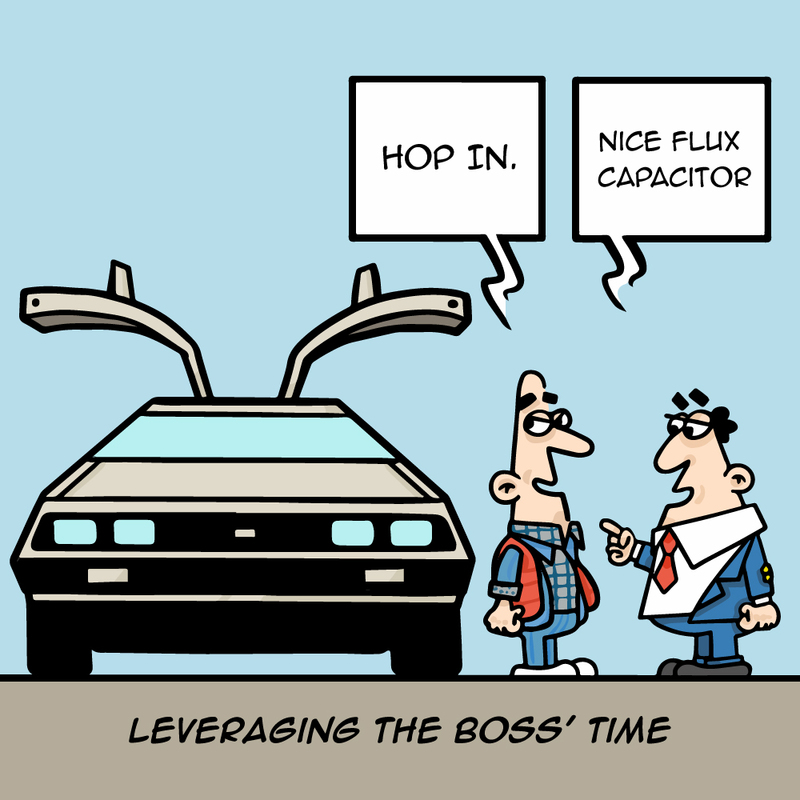 “Consider taking regularly scheduled long lunches and use the time to build your career. We call this the LUNCH CRUNCH. Just like crunches tone your midsection, use your lunchtime to tone your career. LUNCH CRUNCH examples include studying for a professional exam or standardized test for graduate school, working on business development, practicing your writing skills, or reading professional development books (like this one!). Why do career toning at lunchtime? First, your lunches are productive rather than wasted. Don’t spend your precious time shooting the bull with co-workers! Do something that builds your career. 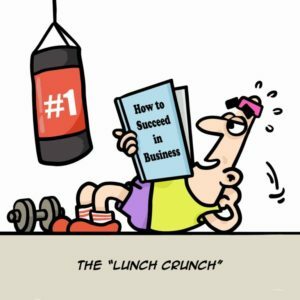 One motivated young employee used the LUNCH CRUNCH strategy to compile more than 3,000 vocabulary flash cards in order to ace the verbal section of the GRE. However, at least one day a week, have lunch with co-workers to build relationships and show that you’re not a complete wonk. Second, the same hour that you would normally spend on the selected activity at home breaks up your day. You disrupt any job or task monotony, making your workday more enjoyable. You also allow your brain time to subconsciously analyze current problems or challenges. And by working on other tasks, you give your brain a contextual break so it’s energized and refreshed to tackle work issues after lunch. Third, to crunch during lunch and still work the same number of hours you have to come in earlier and leave later. 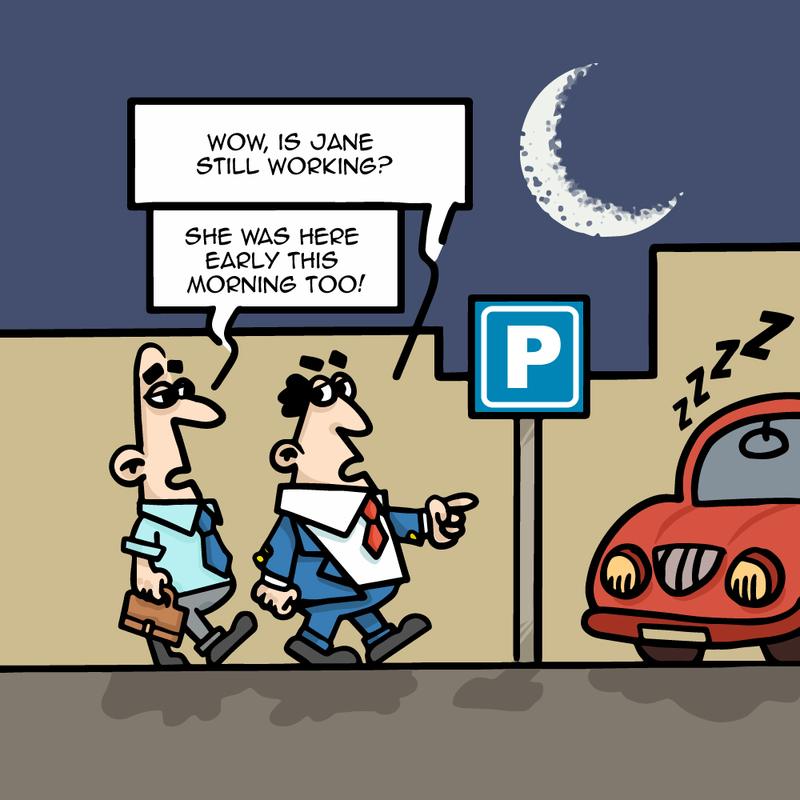 Your boss and colleagues will notice your early arrival and late departure and naturally think you’re working extra hard on your projects and tasks (see Maintain variability in your schedule and Stay an extra 15 minutes). Fourth, you commit to spending this time in a way that develops your career. 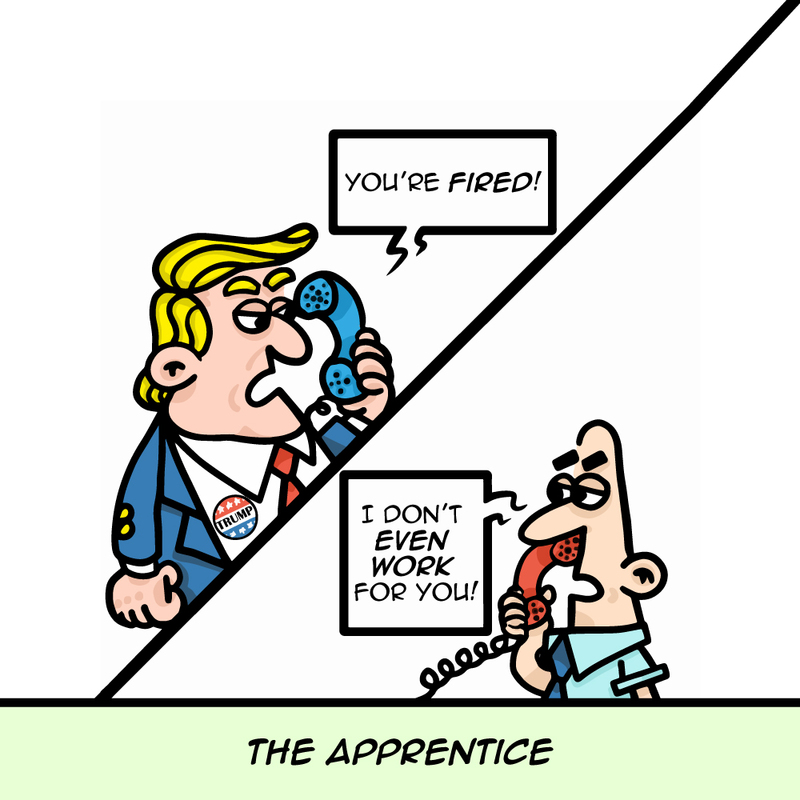 Long-term career building requires perseverance, and you need a commitment mechanism to do it effectively. Your efficiency will be higher working on professional development at lunch than doing it at 7pm after a long day at work. So set your office calendar to indicate you’re busy at lunch and get crunching! At the Formal Fridays Website, you’ll find regularly scheduled book chapters, comics, and new content being released over time. There will be many more ideas and much more fun to come over time. Hope you like it!